Now that InMotion Hosting offers Free SSL certificates, you may want to replace your expiring or invalid certificates. 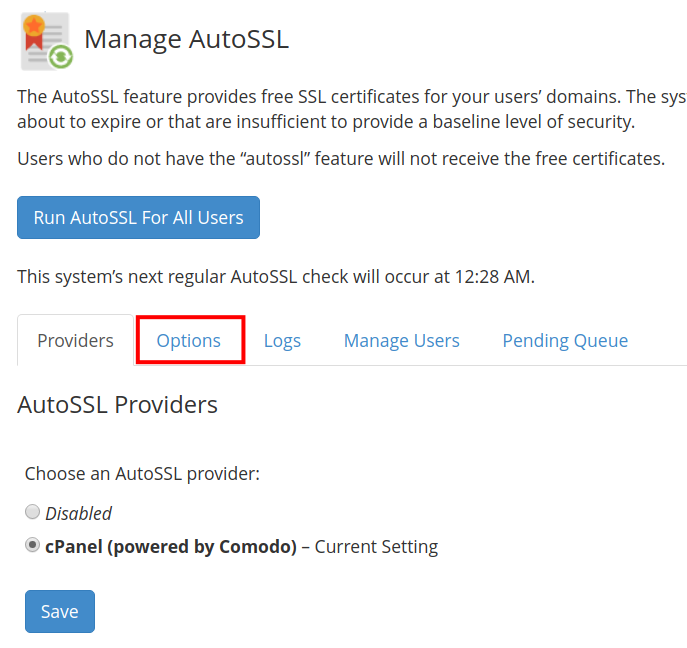 WHM (Web Host Manager) has the ability to automatically issue new SSL certificates using the AutoSSL tool. In this tutorial, we will show you how to allow AutoSSL to replace invalid and expiring certificates. **Note: You should not follow this guide if you are using Extended Validation (EV) SSL certificates. Log into your Web Host Manager as the 'root' user. In the search box type "autossl" without the quotation marks. 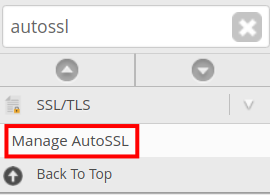 Click the Manage AutoSSL link under the SSL/TLS section. You will then be on the "Manage AutoSSL" page, click the Options link. Scroll down and check the box to Allow AutoSSL to replace invalid or expiring non-AutoSSL certificates. You are finished when you see a "Success!" message on the top right of the page. 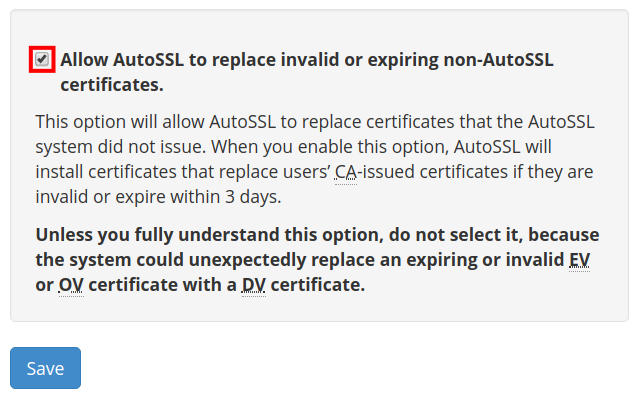 Congratulations, AutoSSL will now automatically replace invalid and expiring certificates on your server!